The Disneyland Resort is a fun place to visit for kids of all ages. This is true even for kids who may be over 21, but are still young at heart. So even if you don’t have young kids anymore or never had them, rest assured that you will most likely still have a great time. Here are some tips for visiting Disneyland. They may be especially useful for people from Hawaii planning to visit the happiest place on Earth. Get to the parks as early as possible. That’s the number 1 best tip for any visitor to the Disneyland Resort. Disney will typically let you in around 15 minutes before the park officially opens. But they won’t let you get past the front area of the parks where the rides are located. This period has been referred to by Disney aficionados as “rope drop.” But once they do let past the ropes, get the Fast Pass as soon as you can for your favorite rides. You can only get a limited number of Fast Passes at once. So plan in advance which rides you’ll want to go to first. Staying at the Disneyland Resort hotels is a great and convenient option, assuming it’s in your budget. Plus, as a guest at one of the Disney properties, you get to enter the park one hour before the park opens. As a less expensive option, you can stay at one of the hotels directly across Harbor Boulevard. It’ll be almost as convenient with only a short walk to the park. And it’ll generally be less expensive. The Photo Pass service is a great service. Disney photographers will take your pictures for you at some of most memorable areas of the park. The smallest single downloadable picture will cost you around $13 and a CD of pictures will cost you around $170. This service is especially useful because you can’t bring in or use selfie sticks inside any Disney park. You can also have the Disney photographers use your own camera to take your pictures. Most, if not all of them, of them will do this if you ask them to. With the new Max Pass system, you can get Photo Pass service included. But it’ll cost you and additional $10 per ticket per day. Plus, with Max Passes, you can get Fast Passes off your phone using the Disney app. So you won’t have to get them at the Fast Pass kiosks. Disney has made significant improvements to the Disney California Adventure park. This includes a new Southern California themed front entry/shopping area, the relatively new Cars Land area and World of Color show. Most recently, they upgraded the popular simulated hand glider ride which is now called Soarin’ Over the World. They are also converted the Tower of Terror ride to become a Marvel Guardians of the Galaxy ride. There’s definitely a big difference in Disney California Adventure now compared to when it first opened in early 2001. We never thought they allowed you to do this. But apparently you can now take in outside food into the parks. This gives Disneyland lovers additional dining and snacking options when they enter the parks. This could be one of the best money-saving tips for visiting Disneyland. 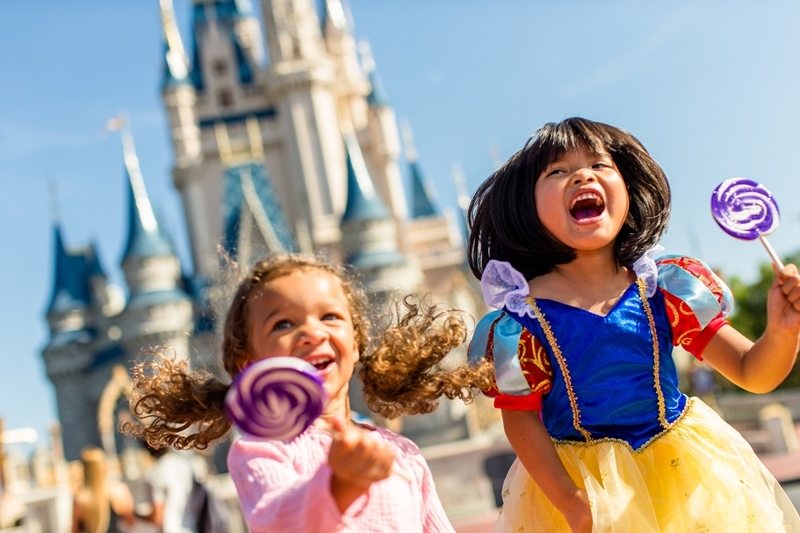 Additionally, Disney is placing greater emphasis on expanding healthier food options at its California and Florida parks and even have places that serve fresh fruits. But if you like eating white rice as most Hawaii people do, you’re mostly out of luck. The only place we found where you can eat white rice is at the Lucky Fortune Cookery in Disney California Adventure.